Our 24/7 Service assures you that you will not have any problem at any time. Our quick response gives you the peace of mind that you need to do what you do best. NO MORE worries about jams and problems on your printer, plotter, fax or copy machine! We possess a hard-working workforce and with their skills and support, we have satisfied a large number of clients with our rental services. We also provide photocopier exchange services and you can avail this service according to your need and to fulfill your requirement. Offered at highly competitive prices, these services cater to the needs of various offices, institutions and corporate houses. Our highly qualified and experienced professionals provide most accurate, speedy, effective services smoothly and easily. Quality customer support has been the cornerstone of the success of International Copier Center. We realize that when your office equipment goes down it can paralyze your office. That’s why we provide service response that is unmatched in the industry. Our technicians are fully trained to provide you with superior service and in most cases they can solve your issues on the spot. They are fast and courteous and will fix any problems without disrupting your office. RENT a Digital Copy Machine! SAVE MONEY and enjoy professional & reliable results! 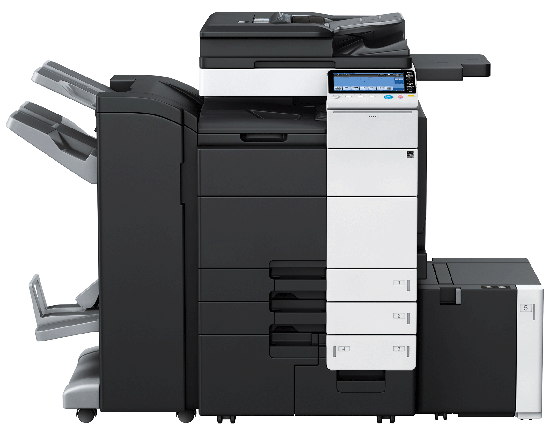 Starting at very best price on monthly and annual basis, you can RENT* a reliable Copier and enjoy A+ Maintenance Service – It’s an ideal solution! With us you have professional, accurate, honest and kind service. Also, we go the extra mile in every job and that makes our customers refer us as the best and most reliable office machine service company. Our customers are our best advertising: therefore, you are our number 1 priority. We offer advanced technology products that simplify your daily business life – Contact us for a FREE quote. Your local choice for the BEST PRICE for new and reconditioned office machines. We SELL & RENT (long & short term) Digital Copiers (Color & B/W), All-in-One (Multifunctional), Laser Printers, Sell Toners, Drums, Supplies & Spare Parts at COMPETITIVE PRICES. Our Experienced Service Department provides Excellent Service and Maintenance Agreements to keep your office machines running smoothly. We service/repair All Major Brands. Office Equipment’s Preventative & Cleaning Maintenance avoids unexpected downtime and delays that affect productivity and eventually, profitability. We service / repair photocopier used refurbished copier machines Sydney, HP Printer Sydney, Copier Sales Sydney, Ricoh Sydney, Lanier Repairs Sydney, Copier Rentals, HP Printer repairs Sydney NSW, Printer Sales service Sydney , Cartridges, Printer Repair, Service Printer, Konica Minolta Repairs Sydney, Copier Repairs Sydney, Ricoh copier repairs Sydney, HP Lexmark Australia Sydney NSW, Laser printers repair and fax machines: Ricoh, Minolta, Canon, Gestetner, Lanier, copier Toners, Drum, HP Laserjet, Kyocera Mita, Samsung, Sharp and cheap copier, best photocopier, used Copier Machine, Canon Copiers sydney, Ricoh photocopier repair, Minolta Photocopier, Used Copiers, Sharp Photocopiers, Note Counting, Photocopier, photocopier repairs, cheap photocopier repair, We deal in photocopiers (new & used) Sales, Service, facsimiles, laser printers, computer accessories, projectors, duplicators, laminators, cash registers, shredders, and note counting machines.